One thing our customers will be familiar with is the wheel respray deal we put on from time to time. We offer wheel respray as a regular service. If your wheels are starting to look a bit rough, or you may have clipped the gutter a few too many times, instead of having to fork out for new wheels, we can freshen them up for you. The freshen up wheel service includes prepping, repairing, sealing, and then painting the wheels in any colour of your choice. We can also repair minor gutter rash. If you’re unsure how bad your damage is then you are more than welcome to send photos through to us and we can confirm if we are able to repair them or if machining is needed we can also arrange that. All wheels are painted using quality paint which is durable and gives you a lasting new wheel look. There is no limit when it comes to colour choice. Another service we offer for your car’s is respraying your brake callipers. 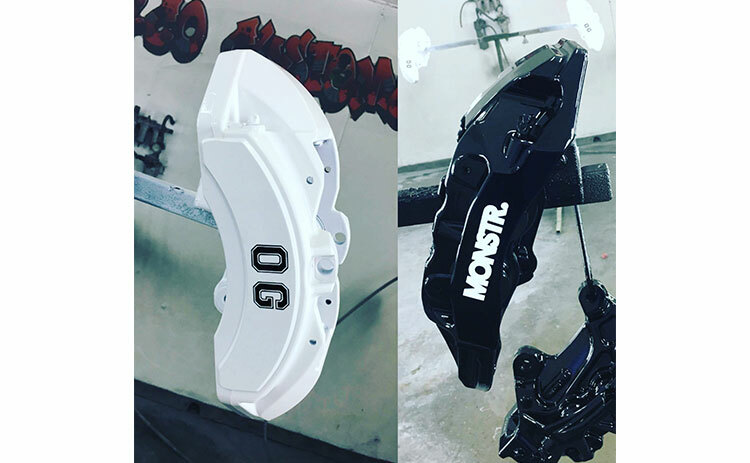 We can respray your brake callipers in any colour and brand them with your choice of stickers, whether it be original stickers like brembo or hsv or something custom made, we can design and print them in-house. 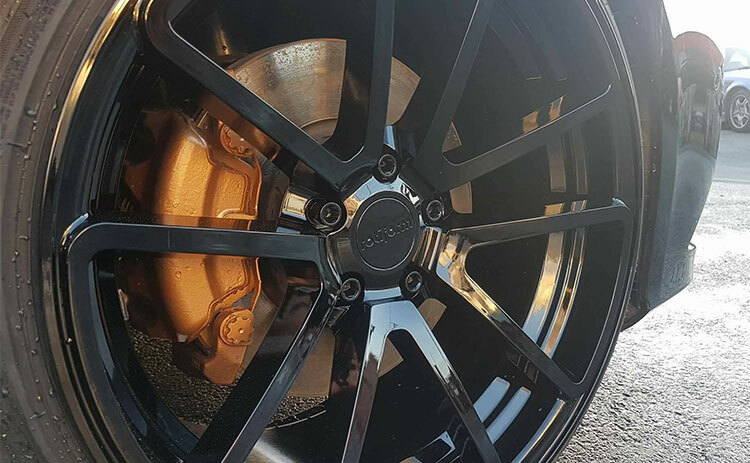 Whatever you need done to make your wheels look great, we can do it. Call us at Low.Co Customs on the Gold Coast for a free quote. To see what types of mechanical work we can do for you, visit our page Low.Co Mechanical. We can also assist you with all types of custom car modifications.